Rev Ken Hampton OAM (1935-1987) was a sprinter and member of the Alawa people from the Roper River area in the Northern Territory. He became a junior athletics champion and won the 1961 Bay Sheffield 130-yard race in 12.4 seconds. After his elite running days Ken became a community leader and Anglican deacon, and the first Aboriginal Justice of Peace in South Australia. In 2009 Ken was inducted to the Bay Sheffield Hall of Fame. 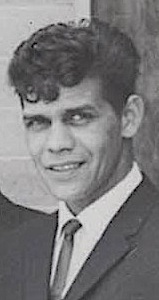 Born in December 1935 in Darwin Ken Hampton was an athlete, Aboriginal community leader and Anglican deacon. He was one of eleven sons of the miner Timothy Hampton and his wife Sarah Johnson, both Alawa people from the Roper River district. He was removed from his family aged three. After the shock of the bombing of Darwin Ken was evacuated south to The Bungalow in Alice Springs along with John Moriarty and Wally McArthur. It was frightening and confusing being bundled into the back of an army truck and then taken to a place you didn’t know. In 1942 he was evacuated to Adelaide with many other children from The Bungalow. The children did not all go at the same time. Ken went in a later group on an empty troop train that was returning to Adelaide. Like others Ken’s group probably stayed at St Luke’s mission in Whitmore Square, Adelaide. The group went to Mulgoa, a Church Missionary Society home at the foot of the Blue Mountains where they stayed until 1949. Similar to the others Ken was quite happy at Mulgoa. 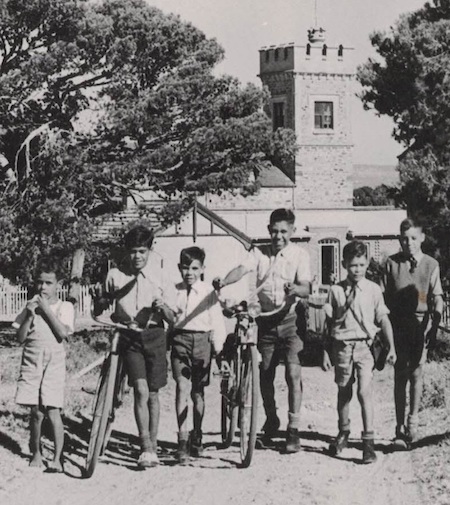 It was agreed with NT Welfare that the boys, who were wards of the state would go to St Francis’ House in Adelaide started by Father Smith in 1945. There Ken had a chance for an education, to develop his natural sporting skills and be proud of his Indigenous heritage. He got on well with Father Smith, Mrs Smith and the other boys. There was a camaraderie that Ken warmed to. His mother, Sarah got on well with Father Smith and Mrs Smith and she was one of the few mothers who actually visited her son at St Francis’ House. Parents were always welcome but personal circumstances often precluded them from visiting. Like nearly all the St Francis’ House boys he gained a secondary education at Le Fevre Boys’ Technical High School. He became a very skilled footballer and runner. He learned to train hard. There was a chance for Ken to train as an apprentice fitter and turner. He qualified in 1956. The Bay Sheffield is South Australia’s iconic foot race over 130 yards, held every year on the 26, 27 and 28 December. In December 1954 Ken Hampton achieved a podium finish and placed third in the Bay-Sheffield behind winner Warren Bock and Peter Nelson (2nd). He persisted with his running and continued to improve winning The Bay Sheffield in 1961 with a time of 12.4 seconds. 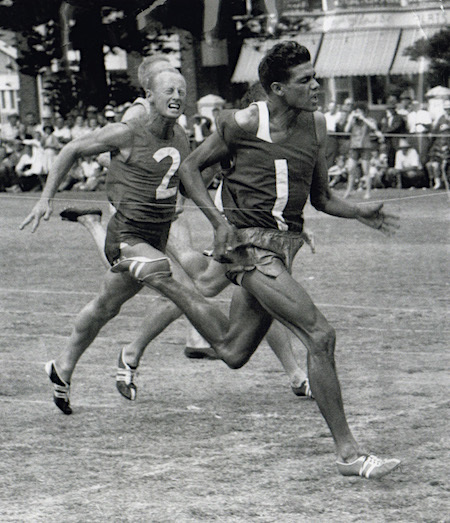 Ken was the first Aboriginal person to win the race. After school he applied to join the Royal Australian Navy, but was reportedly rejected because of his Aboriginality. It was a stunning and demeaning disappointment. There was nothing he could do but find other employment. He worked for the Commonwealth Railways at Port Augusta and for Broken Hill Proprietary (BHP) at Whyalla. Then on 12 November 1956 he married Daphne Sultan. 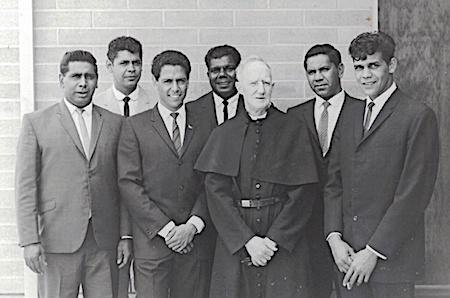 He attained a deep interest in Indigenous issues and joined the Aboriginal Progress Association of which a number of other St Francis’ House boys were members. Later he joined the South Australian Department of Aboriginal Affairs, working at Port Augusta and Koonibba. In 1972 he was appointed a vocational officer with the Commonwealth Employment Service and was subsequently seconded back to the State DAA. A founding committee-member of the Aboriginal Publications Foundation in 1971, he helped to establish the Aboriginal Task Force at the South Australian Institute of Technology in 1973. From 1974-81 he was on the management committee of the Aboriginal Community College, Largs Bay. It was a considerable achievement when he was appointed the first Aboriginal justice of the peace in South Australia in 1976. In 1979 he was married for a second time to Margaret Nayda, an Aboriginal health worker. In the 1980s Hampton became increasingly involved with the Anglican Church, which had resolved to offer greater support to Indigenous aspirations. Appointed the archbishop’s lay chaplain to Aboriginal people in December 1982, Ken worked with alcoholics and prisoners, and offered pastoral care to Indigenous country people undergoing medical treatment in Adelaide. His service to Aboriginal people was recognised in 1985 when he was awarded the Medal of the Order of Australia (OAM). He was made deacon on 20 December 1986 in St Peter’s Cathedral in Adelaide. Archbishop Keith Rayner declared that Hampton was “the person whom God has raised up for ministry among Aboriginal people”. Hampton’s vision of a centre where Aborigines could gather, in an environment that affirmed Indigenous spirituality and culture, was partly realised in the Nunga Anglican ministry, inaugurated on August 30, 1987. Dr Gordon Briscoe said in 1997: “Ken Hampton was a famous schoolboy athlete before going on to become a record holder in professional running in South Australia and Victoria. On the Aboriginal executive committee of the Jubilee 150 celebrations in South Australia, Hampton co-edited the book Survival in Our Own Land, a history of Indigenous South Australians. 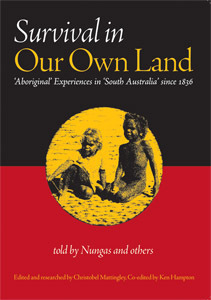 This was one of the first books to tell history in South Australia, since white occupation from the Aboriginal point of view. Ken was making clear his commitment to Indigenous culture and the need to revive many aspects of that culture that have been lost. When the State government sold the publishing company Wakefield Press, he and his co-editor Christobel Mattingley, believing Indigenous rights to the royalties to be jeopardised, fought to retain them for an Aboriginal trust fund. Sadly, Ken struggled with illness for many years. He had a kidney transplant in 1974 and a coronary bypass in 1979. Survived by his wife, two sons and five daughters, Hampton died of coronary artery disease on September 11, 1987 at Woodville South, Adelaide, and was buried in Enfield cemetery. He was only 51. He was described by his colleagues as wise, gentle, caring, passionate and determined, and capable of transcending factions. PHOTOS (from top): Ken Hampton wins the Bay-Sheffield in 1961 • From left – Desmond Price, Ken Hampton, Richie Bray, Malcolm Cooper, Gordon Briscoe and Ron Tilmouth going to school in 1950 with St Francis House in background • St Francis House reunion in 1966 (from left) Vincent Copley, Tim Campbell, John Moriarty, Wilfred Huddlestone, Father Percy Smith, Malcolm Cooper, Ken Hampton • The book co-edited by Ken Hampton, Survival in our own land published in 1988 • Ken Hampton in 1966. Survival in our own land was an important academic work that started the long overdue need to document and analyse history from the other side of the frontier, beyond records of events by Europeans. “After school he applied to join the Royal Australian Navy, but was reportedly rejected because of his Aboriginality.” Wow – a sign of the times. What an inspirational story. I had heard of Wally McArthur – and enjoyed the earlier story about him – but I never knew about Ken Hampton and his achievements in athletics. Thanks so much John and Erwin for these stories. Important history to share. Great reading about these young men who left their families at home for a better chance of education, with the assistance of Father Smith and his wife. Keep it going.